Many children go through a stage of asking for a particular book to be read to them over and over again. Two that were requested frequently around our house when the girls young were Brown Bear, Brown Bear, What Do You See? by Eric Carle and Go, Dog, Go by P.D. Eastman. While those days have passed us by, we still own many of the classic children’s picture books. 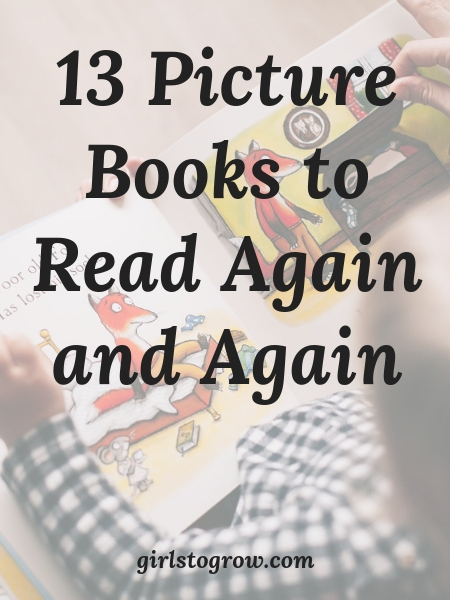 Here are thirteen of our favorites, ones that even I enjoy reading more than once! Did your child have a book that they asked for constantly or is there a current favorite? Please let us know what it is!